Get the DMS You Deserve. It’s no secret that working with your DMS can be frustrating. Dealerships are spending an exorbitant amount of money each month, and in return, they receive poorly designed software, lousy support and limited choice of vendors to integrate with. We have a distinct advantage over any other DMS, and it makes all the difference in the world. Our support, training and installation teams are car people with dealership experience. They know what you’re going through because they’ve been in your shoes. 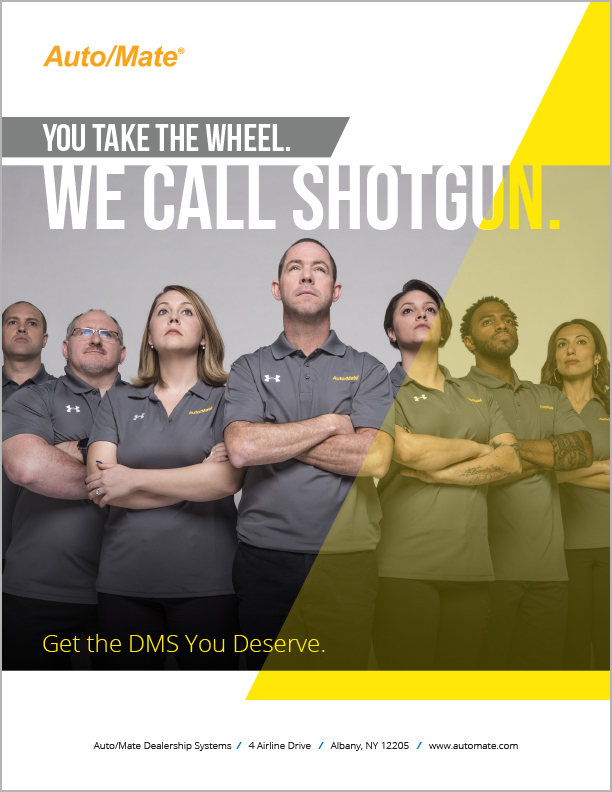 With more than 1,000 years of combined dealership tenure, we know how to solve any issues you’re facing, what software features will make your job easier and how to make the transition to a new DMS as smooth as possible. Learn why dealers are saying goodbye to their old DMS and hello to Auto/Mate. Download our overview brochure and start thinking about a bright future with the DMS you deserve.